The Vertical Strapping Machine SKV1220 is specially used to strap the pallets. The strap head is the model VK10K120-16 made by TITAN. The PLC from SIEMENS, which ensure the advanced property and reliable operation. 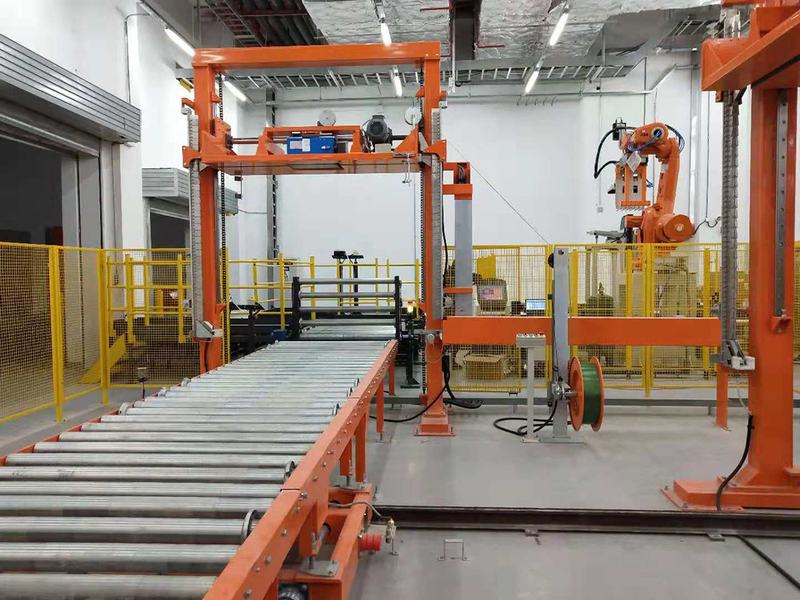 This machine is used with the pallet wrapping and conveying line automatically in no need of manual operation.This machine is mainly equipped by Frame, strapping head, belt feeding unit, belt ring plate unit and control platform. 2.7 Operation table size: Length 700mm, Width: 500mm, Height:1000mm. 3.1 The whole machine is equipped with automatic swords threading system. 3.2 With the function of auto tape threading. 3.4 With the strapping head of model VK10 K120-16 of TITAN Germany. The internal of every strapping is 15s. 3.5 The PLC is SIEMENS. The customer can set the times and distance as per the requirement. Looking for ideal CE Strapping Machine Manufacturer & supplier ? We have a wide selection at great prices to help you get creative. All the Germnay Strapping Head are quality guaranteed. We are China Origin Factory of Vertical Pallet Strapper. If you have any question, please feel free to contact us.